Know a little ripper who loves skiing but absolutely hates getting wet? 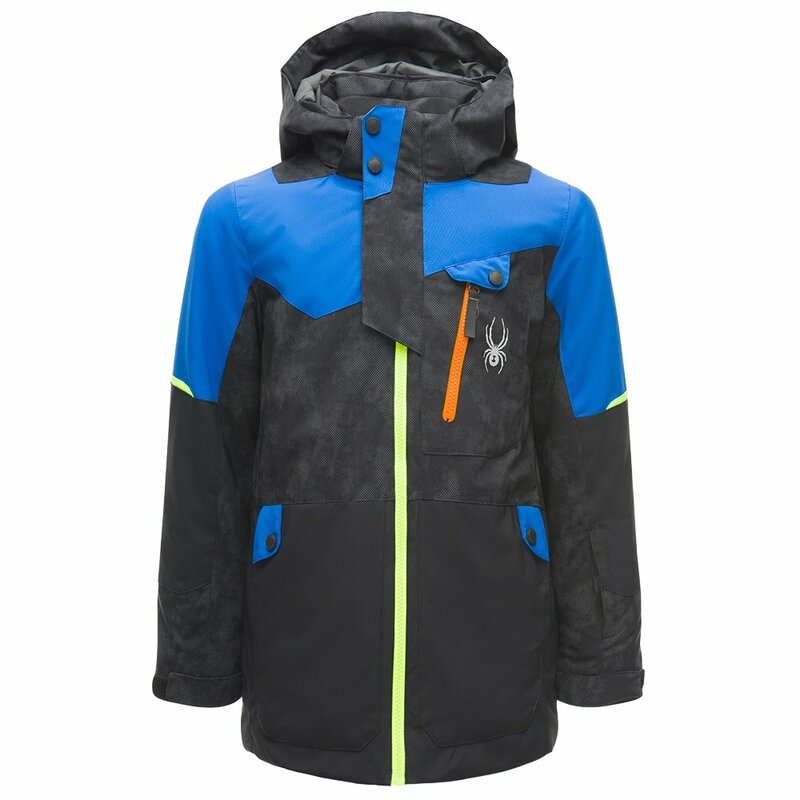 He can say goodbye to soggy layers with the Spyder Tordrillo GORE-TEX® Insulated Ski Jacket, since it has a DWR waterproof finish made with a two-layer GORE-TEX®-finished fabric. On top of that, the seams are completely reinforced to prevent leakage, and a gripper powder skirt keeps snow off his core. The Spyder Tordrillo GORE-TEX® Insulated Ski Jacket is designed in partnership with Olympic medalist and world-cup legend Tommy Moe.